We recently spent two weeks at Lake Cargelligo, central NSW. I call the area “The Big Red” due to it being so, so dry, and so much red dust. However, it is a great birding destination and during my stay I photographed 70 bird species, from the huge wedge-tailed eagle, to the cute, tiny, fairy wren. Near water holes on farms was a good place to be, in addition to the lakes and waterways around Lake Cargelligo itself. I particularly enjoyed photographing the different parrot species, so attractive and colourful, but so difficult to approach. 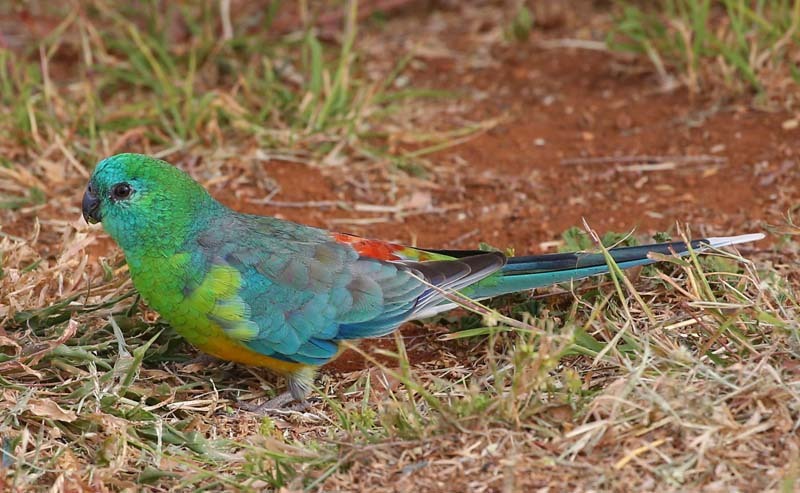 The red-rumped parrot, pictured below, was one of the more commonly seen grass parrots.